As they age, seniors generally want to stay in their home. Many times, they have lived in the same place for a long period of time, and they don’t want to live in a special facility or with a relative during their later years. Independence is preferred, but families must confront reality —seniors face challenges when living in a home without assistance. As people age, they are more prone to injury and cooking, cleaning and bathing becomes more difficult. The Centers for Disease Control and Prevention reported that 29 million seniors were injured during a fall in 2014, and they are the leading cause of death among seniors. “Older adult falls are increasing and, sadly, often heralding the end of independence,” Centers for Disease Control Director Tom Frieden said. For families that are looking at ways to keeping on older relative independent and safe in a home, the AARP HomeFit Guide is a good place to start. It’s an informative and well-illustrated 24-page booklet. 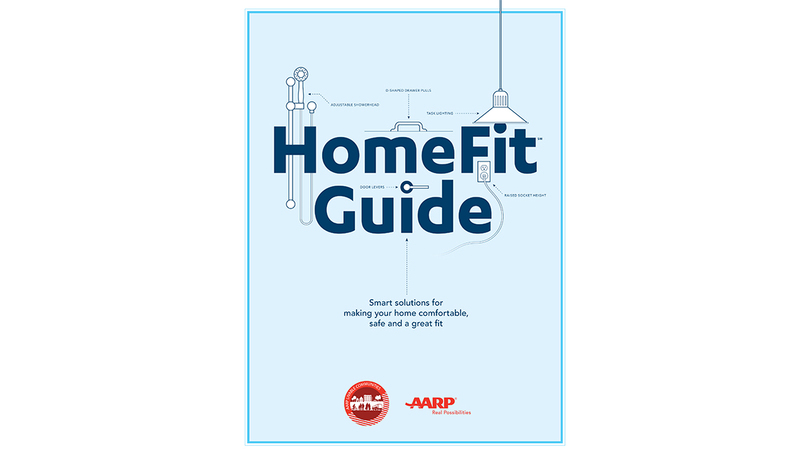 “The AARP HomeFit Guide was created to help people stay in the home they love by turning where they live into a ‘lifelong home,’ suitable for themselves and anyone in their household,” according to the guide. Not only does the AARP HomeFit Guide operate as a practical toolkit, it functions as a resource for keeping a relative safe and secure. Examples are given on ways to improve the safety of the home and keep seniors in a home for the longest period of time. The guide takes you step-by-step through each area of the home and provides useful instructions and practical tips. Each section contains questions with a box that the family can check off. The guide asks such insightful questions as — do the outdoor lights have sensors? And is the kitchen floor not polished with a slippery wax? The manual offers users the ability to take notes and contains additional resources. In the end, the guide gives the family practical and useful information. That way family members can have a logical discussion and determine if the home is safe for the senior or find ways to improve the home. How to Begin Your Spiritual Will How Does Heat Affect Your Aging Loved One?